Your AWPA membership is a high-value investment in you, your company and the industry. Participation is the key to your return on investment. You are encouraged to engage individuals at every level of your company in AWPA activities and communications. Well informed staff, who are engaged and connected, are excellent resources for your company success. 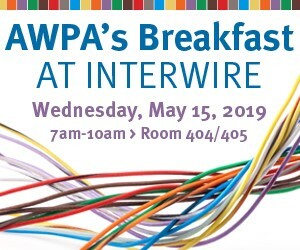 If you want to impact in the future of the North American wire industry and share in meeting its challenges, AWPA provides this opportunity. You become a Knowledge Leader when you are well connected in the wire industry supply chain and are well informed about the issues and challenges companies in the industry are facing. AWPA meetings and communications are excellent and efficient opportunities to improve your Knowledge Leadership. AWPA also provides its members with daily manufacturing industry news provided by the National Association of Manufacturers and communicates with its members via The Wire, the periodic newsletter of the association. When many companies come together to address issues, the voice of the industry becomes more powerful than any one company on its own. The association’s GOVERNMENT AFFAIRS activities are the voice of AWPA and its members . Complete a Membership Application Today, and attend the upcoming Government Affairs Conference, as a New Member! 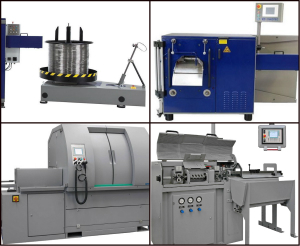 Supplier to the Wire Industry? Check out AWPA Membership!